First Listen: Sharon Jones And The Dap-Kings, 'Give The People What They Want' Less than a year after a terrifying cancer diagnosis, the soul star stages a triumphant return. Set, as always, against The Dap-Kings' characteristically springy horns, Jones growls and struts through 10 timeless songs that couldn't sound better suited to the big stage. 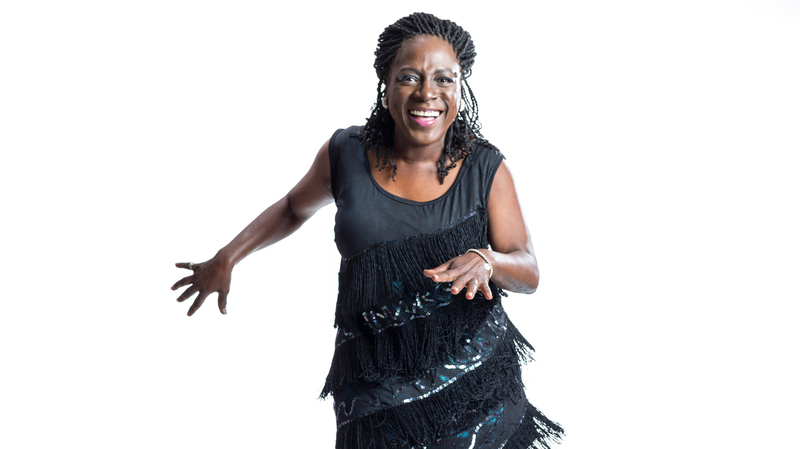 Give the People What They Want, Sharon Jones' new album with The Dap-Kings, comes out Jan. 14. For veteran soul singer Sharon Jones, 2013 was a year of frustration, fear and false starts: She'd just announced the summer release of her fifth album, Give the People What They Want, when she was diagnosed with cancer and had to put her career on hold. Tours were canceled, while the finished record had to be shelved until she'd recovered to where she was in a position to promote it. Anyone who's seen Jones live knows how much she pours into performing, so fans appeared to be in for a long wait. All of which makes the arrival of Give the People What They Want — accompanied by a planned return to the stage in February — especially gratifying. Though it was recorded before Jones' initial diagnosis, it's hard not to hear special poignancy in the album's tone of defiance, as the singer dismisses old lovers ("Retreat! "), fake friends ("Now I See") and the idle rich ("People Don't Get What They Deserve") with stubborn assertiveness. Set, as always, against The Dap-Kings' characteristically springy horns, Jones growls and struts through 10 timeless songs that couldn't sound better suited to the big stage. It's to her credit that the studio serves them, too, throughout an album that deftly and efficiently carries out the mission suggested by its title. She wasn't gone long, thank goodness, but it's so nice to have her back.